Somehow January is already over, even though 2017 still feels like yesterday. We had a busy month, trying to catch up on everything we didn’t get to in December, family obligations, and trying to finish all our Christmas chocolate before we start (non-religiously) participating in Lent. We also went to see a live production of Jesus Christ Superstar, our favorite musical. Nothing beats Funky Disco Judas, but we enjoyed this modernized interpretation as well. While we did like this book more than the first, it has the same problem as the first book. The characters just don’t do it for us. We don’t care about their lives, and there was a lot side story going on that didn’t add a single thing to the plot. Still, the mystery itself kept us hooked to the very end. Finally, a Robin Hobb book that didn’t bore Sebastian to tears! Maraia loved it even more than the first time, and Sebastian thought it was much better than the previous series. Not that that’s saying a whole lot. ? The multiple POVs range from interesting to flawed to f*cking obnoxious, and they really help to move the story along. We started this with no expectations, we just wanted a standalone thriller. We ended up really enjoying the book, although it turns out it’s actually part of a series. Fortunately, we definitely want to read on and are glad the story isn’t over. We just hope a certain obnoxious character won’t make a reappearance. While this wasn’t a terrible book, it definitely didn’t live up to our expectations. The idea and the setting were both great, but the pacing was off. Part of it was heavy and part of it dragged along while nothing much happened. We loved Memory Man, the first book in the Amos Decker series, and this one is just as good, if not better. The case is thrilling and full of surprises, we enjoyed the developing friendships between certain characters, and the narration is absolutely fantastic. This was recommended by several bookstagram friends, and we were excited to read it both for the gorgeous cover and the unique narration style – the book is written as a series of podcast interviews. Six Stories kept us on the edge of our seats from the get go. The crime itself isn’t anything special, but the way Wesolowski slowly builds the case through six different perspectives makes for a thrilling read. Die Wahrheit is fairly unique as far as thrillers go. The writing is more lyrical than gritty, and the story is surprisingly sentimental. We enjoyed the first 380 or so pages, but the we couldn’t help feeling a bit let down by the ending. Neither of us had heard of this book before Mooni gave it to Maraia for Christmas, but apparently it’s a cult classic in Estonia. The Man Who Spoke Snakish is one of the most unique (read: bizarre) books we’ve ever read. There’s no plot to speak of, although the last third is quite action packed. We were never bored, despite the lack of direction in the story, but did we enjoy it? We’re still not sure. We are glad we read it, though. And if there’s one thing to be said about the book, it’s that it has one of the nicest, softest covers ever! I had read the first book in this series a few years ago and only remembered that I really enjoyed it thanks to the thrilling story and the interesting protagonists and for the second book I decided to switch to the audiobook version which eventually made the reading experience even better. 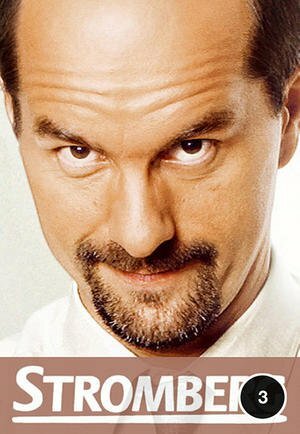 The plot was at least just as good as in book 1 but the narrator (which had been unknown to me before) made it even more fantastic – especially because he spoke the grumpy Dutch profiler with a very convincing Dutch accent! ? I merely picked this book from my TBR on a whim and didn’t have any expectations at all but it turned out to be a good decision: I really liked the idea that all that crazy the-world-is-going-to-end stuff was just a footnote to the actual story, it was easy to sympathize with the characters and overall I enjoyed this much more than I had expected. The historical crime novels I usually read are mostly set in the Victorian era but I also appreciate John Maddox Robbert’s series about an investigator that solves cases in ancient Rome. This fourth book of the SPQR series however was set in Egypt which I found almost even more interesting and while the first two hours of the audiobook were still a bit slow the rest was pretty good and I just like how these books combine suspense and historical information. This was recommended to me by Kelsea, and I’m glad I listened to her. Aside from the heavy focus on the romance, this was a great audiobook and an important #ownvoices story. My only questions about the book were answered by the author in the afterword. I definitely recommend the audiobook format if you’re thinking of reading this. This is another romance-heavy book, but it was so sweet, I couldn’t help but love it. Both of the main character and his love interests were adorable, and I also appreciated the strong emphasis on family and friendship. What I loved most, though, is the message of the book: be yourself, and don’t let anyone tell you you’re not good enough the way you are. I enjoyed this much more than book one, which was too similar to another novella I had just read. Taste of Morrow has the same great cast of characters but I thought the mission was sweeter. This was one of my most-anticipated sequels of the year, and it did not disappoint. I love the diverse characters and I love the idea behind the world. These books are all about the importance of finding the place you belong. I’m so glad we have more books ahead of us! I highly recommend You Bring the Distant Near. This may be a short novel, but it has a lot to say. It deals with race, religion, immigration, multiculturalism, multiple generations, and fitting in somewhere new. These are the kind of stories we need! I could listen to this narrator forever. This was a great book in and of itself, but the narration takes it to the next level. I enjoyed book two even more than the first. I loved getting to know the characters better, watching them grow, and seeing their relationships develop. SING: This was so cute! It delivered exactly what it promised: a feel-good movie that left us smiling and dancing in our seats. 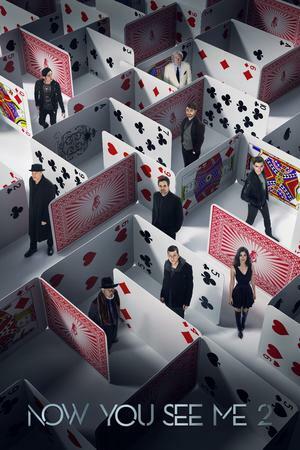 NOW YOU SEE ME 2: We both fell asleep during the movie. Make of that what you will. ? THE GOOD PLACE: Season 2 is so weird. We definitely weren’t expecting things to go where they did, but we still couldn’t stop watching this bizarre and hilarious show. We wish we didn’t have to wait so long for the season to continue. DARK: We ended the season the way we started – hating all the characters but somehow 100% addicted. We can’t wait for season 2! 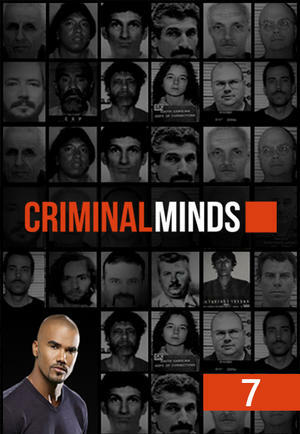 CRIMINAL MINDS: Season 7 is definitely not our favorite, and we really hope season 8 is back to normal so we can actually guess who the killer is while watching. 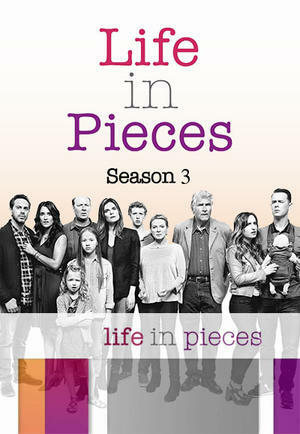 LIFE IN PIECES: We’re still loving this, despite the fact that we’d forgotten how obnoxious most of the characters are. That’s all part of the show’s charm, though. STROMBERG: The thing that Maraia has been waiting for since the very first season has finally happened! ? 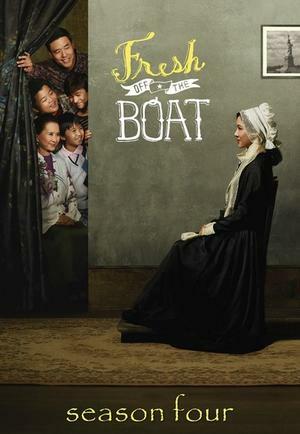 FRESH OFF THE BOAT: It’s so nice to be back with these characters! ONE DAY AT A TIME: Season one was great, but this season is on a whole new level. We love that the show doesn’t sugarcoat anything, directly addressing so many issues that are important and relevant right now. If you’re not watching this show yet, you really should be. PASTEWKA: This new season has gotten off to a rough start, with a season premiere that was sneakily almost an hour long (instead of 20 minutes) and a second episode that was almost too absurd to be funny (but still pretty entertaining). We’re curious how the rest of the season will go. 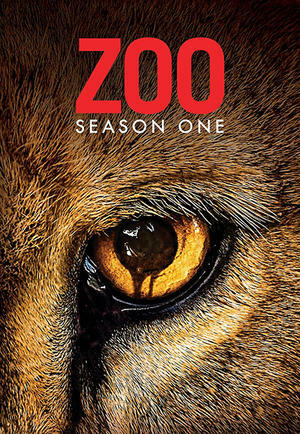 ZOO: This is a rewatch for Sebastian so Maraia can catch up to where he left off. She can see why he loves this show! The scenario it explores is absolutely terrifying. Did you discover any new favorites? 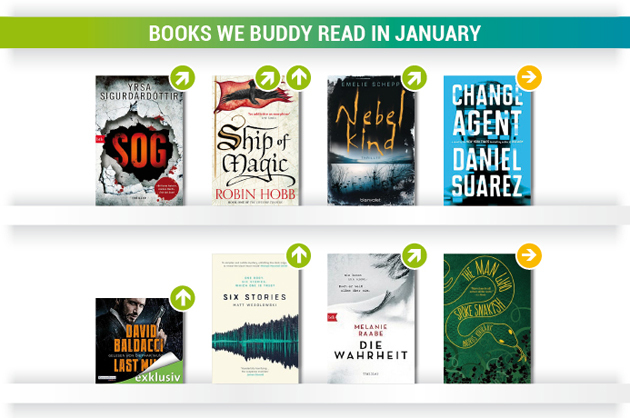 Looks like you mostly read some great books this month. What is Dark about. The season one poster looks interesting. We watched the first few episodes of Zoo when they aired it here two years ago i think but then it changed channels and we los track of it. 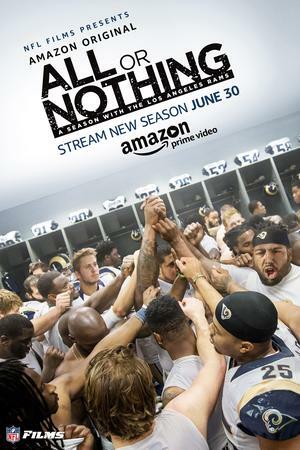 Last year we bought it on dvd and we are hoping to finally finish the season this year. 😀 It really is terrifying. It’s basically the German version of Stranger Things, haha. It’s about time travel, though, instead of a parallel wordl. Yay, hopefully you find time to watch it. It’s one of those shows where it freaks me out but I also can’t look away. ? 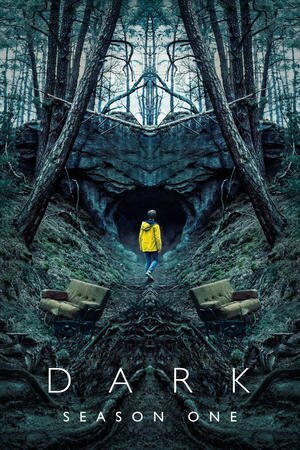 „Dark“ was really good! At first it made me a bit uncomfortable because the first two or three episodes were SO similar to „Stranger Things“ that it felt like a poor attempt to copy it but when the time travel aspect became clear it was really fascinating on it’s own, even though it was a bit confusing at times. I really really like „Zoo“. One of the reasons is for sure that I’m a big fan of zoos and wild animals in general but I’m still always surprised by how thrilling I find this show. Especially the animals scenes are really convincing in my opinion and never feel like cheap special effects and I’m always wondering how they are shooting those scenes to make them look so real 😀 And it gets even better in season 2 (as far as I can tell yet)! „Bizarre“ is the best way to describe The Good Place haha. We binged it recently and season two has gotten soooo weird. I’m still loving it though. I’ve never heard of Zoo but I want to check it out COMPLETELY based on the poster. I definitely don’t want to stop watching. I have no idea where they’re going to take the show next, haha. We paused in the middle of season 2 of „The Good Place“ so that we can binge the rest of the season and I’m really excited about the next episodes! I have no idea why I love The Good Place so much but yet here we are.? I’m really annoyed though that the finale is up and my sister and I were watching them together, but now she’s back at her place and I’M NOT AND NOW I HAVE TO WAIT. (Why do I even care about this show ah ahah?.) Ahem. Anyway, super glad to see appreciation for The Rest Of Us Just Live Here! I totally adored that one but have also totally forgotten most of it…reread time this year I hope. But I love Patrick Ness‘ twists on books so so much. And yessss, Maraia! I’m so glad you liked Autoboyography after all!! ? I loved it too much but yes that was EXACTLY the message and I think that’s what resonated with me so much. I also definitely want to try If I Was Your Girl sometime. Right?! I kind of feel like I should hate it, but I don’t at all. Why do you have to wait for her? That seems cruel. Or you could buddy watch. How could I not love it? ? I definitely recommend the audiobook for you. I’m glad February will be a better month. ? I had no idea what „The Good Place“ was about when we started it but it definitely helped that Kristen Bell is in it since I like her from „Veronica Mars“ and that makes it much easier to live through the scenes where she is really annoying XD I also really like that it has an ongoing story and all those cliffhangers at the episodes make it really hard to stop watching! Thanks, Sarah! I love a good candid photo. I guess this one was half candid. ? Hahaha, right? I’m really curious to know what new twist they’ll think up next. I haven’t heard of Switched at Birth. I definitely recommend One Day at a Time, though! I am definitely going to pick up You Bring the Distant Near. I entered a giveaway for it not too long ago and was really disappointed I didn’t win it. Hope you have a wonderful February! That’s too bad. I hope you don’t have to wait too long for your library copy! So glad you enjoyed Die Wahrheit so much. I hope it encourages you to jump into your next German book soon 😉 Also, I love how many books you 2 read together. How do you go about that? Do you read out loud to each other? Do you get multiple copies? I was pretty disappointed by If I Was Your Girl, to be honest. I get why it was the way it is and I’m glad it exists as such but I was pretty bored because it was such a generic high school experience story. I need to figure out what to read next! I don’t have any German books planned for February, oops. Hahaha, I always ask Sebastian to read out loud to me when I’m tired, and he always says no. 😛 Sometimes I have a library ebook and he has a physical copy. Sometimes I have an English copy and he has an German copy. And sometimes we only have one copy, and then we have to buddy read two books (one in English, one in German) and pass them back and forth. Well, I certainly wouldn’t have read it if it hadn’t been an #ownvoices story. I think it was the great narration that kept my interest! And I’m glad it exists, because it really is an important story. It’s a lot of fun! And haha, yeah, I wouldn’t rush to see it. ? You seem to have had a really nice month! I remember loving The Rest of Us Just Live Here, that was such a cool idea and I loved the ending. Don’t worry, you’ll have time to catch up when we take a break in April. But I’m so excited for your reread. These books are amazing. Let us know what you think of One Day at a Time. ? You guys had a great month! I’m glad Sebastian liked Ship of magic, better. Is he reading The mad ship? About the movies, I’ve only watched Sing but I agree it was a cute movie. And I can’t believe how many shows you watched! I’m not specially interested in any of them but I think I will end up watching Dark at some point if only to find out what’s all the buzz around it. I hope you have a great February, too! Yep, we’re reading it now, over halfway done. Haha, how did that happen? I guess audiobooks make it easier. And the third one just came in for the library, so I need to start it ASAP. Now I’m embarrassed at the number of shows we watch. ? We watch a short show during dinner every night and then one or two long episodes or a long and a short episode before bed. It doesn’t seem like that much until we write it all out, lol. I think you might like One Day at a Time as well! Thanks for commenting, Mercy. ? Haha, I really can’t imagine what else they can do with that show, but I can’t wait to find out. I have Sing on my to-watch list thanks to Maraia’s recommendation. 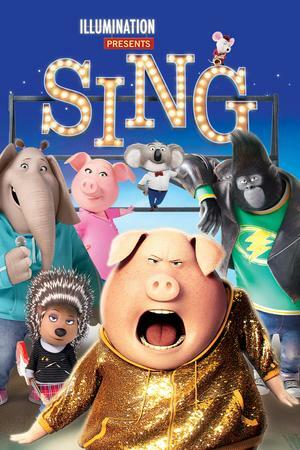 You can’t go wrong with a movie that makes you want to dance and sing. And I haven’t watched any of those TV shows, though I did plan on checking Dark out. My biggest issue I think is I mainly like to watch shows while drawing and Dark seemed like one of those shows I would need to give my full attentnion to to actually enjoy it so I kept pushing it off. Not a whole lot to report on my end for January. Still haven’t finished Crooked Kingdom, but that’s by no fault of the book. I just devoted most of my time to drawing instead of reading. And show-wise I enjoyed watching some documentaries on Netflix this past month because I found they were nice background shows while I drew. I think my favorites were Abstract and The Toys That Made Us, both were quite interesting and fun to follow as a creative person. Oh, and I watched The End of the F**king World which was quite different. I didn’t like The Rest of Us Just Live Here, either! I thought the message was good but I didn’t actually like the book itself. Like Sebastian said, you definitely have to pay attention when watching Dark. It was hard for me, too, but I did it. ? 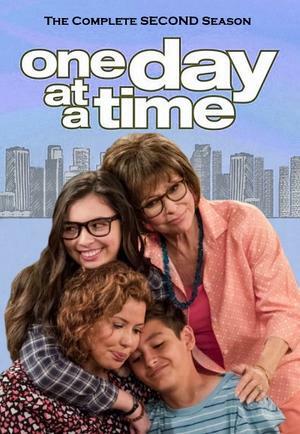 I recommend checking out One Day at a Time, though! I saw on GR that you’ve finished now and gave it 5 stars? Woohoo! We’ll have to give The End of F**cking World a try. Oh, I was excited about Change Agent. I so need to read Taste of Morrow and If I Was Your Girl soon. Autoboyography sounds great! I hope you and C like it more than we did! Maybe if you lower your expectations. Yeah, Autoboyography was surprisingly good, since it’s a romance and has a lot of religion in it. ? I would maybe just skip it and leave the first movie as a standalone, haha. I cry during pretty much every episode! We have three left. The amount of crying you’ll do when watching the last episode will be unmatched. They got me good ? I’m not ready! We’ll finish tomorrow.